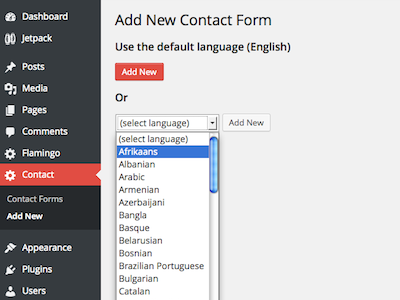 In this post I show you how to create multilingual contact forms using Contact Form 7 (free) and Gravity Forms (premium plugin), two of the best contact form plugins for WordPress. Contact Form 7 is an excellent free plugin. Although Contact Form 7 plugin displays contact forms in american English in its default settings, you can create contact forms in more than 60 languages. This way you can easily make a contact form in two o more languages. Also, you can use Contact Form 7′s administration dashboard in your language (Read this article). Using WordPress Multisite and a network plugin. You only need to create a contact form in each WordPress site. 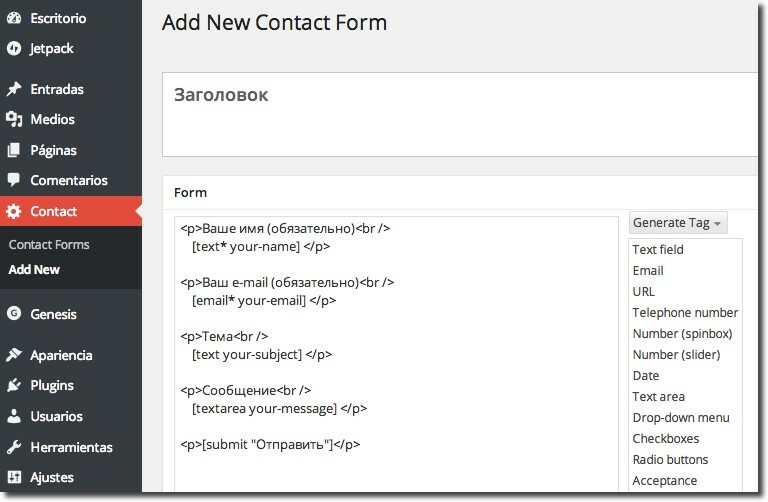 Gravity Forms is the best plugin to build contact forms for WordPress. It’s a premium plugin that costs between $39 and $199. Gravity Forms displays in English (american English) by default, however it has been created to support language translations. Gravity Forms include the latest version of each translation (PO files). They can be used if you wish to update or modify an existing translation. Using Gravity Forms and WPML. You´ll need WPML Multilingual CMS (including String Translation and Translation Management addons), Gravity Forms Plugin and Gravity Forms Multilingual Plugin. More info in this article: Using Gravity Forms with WPML. Using Gravity Forms and WordPress Multisite. You can have multiple installations with one language on each one. In this case you´ll need Business or Developer License.